I know you thought it. Unless you’re totally tuned into the toxic free movement, there is no other response I’d expect you to have. Truth is though, there are some 80,000 chemicals used in manufacturing today and over 90% haven’t even been tested. Which means, someone thought of a way to make some cash, needed a product sourced, a scientist figured out a formula to use some chemicals to make it happen, dropped them in and – boom, profit is made. Investors go home happy. You or your family potentially develops cancer. With zero regard to the long term effects of your body. Good news is, there are alternatives out there. We just have to dig ’em up. They’re not as mainstream as their potentially toxic counterparts. In my house, we’ve always done a mix of sentimental items and some candy. Even then, I’ve always wondered about the candy. Especially since I know, in the U.S., we use ingredients that have been banned in other countries. Like I said, most haven’t even been tested. If you listen to the show, you know me – I’m organic momma. However, until these, I actually hadn’t heard of organic jelly beans. Best part for me (and my son) is, Surf uses all natural colors and flavors. Which means no dreaded Red-40 dye that makes my son break out in hives. Surf Sweets are also non-GMO verified and totally free of the top 10 allergens. 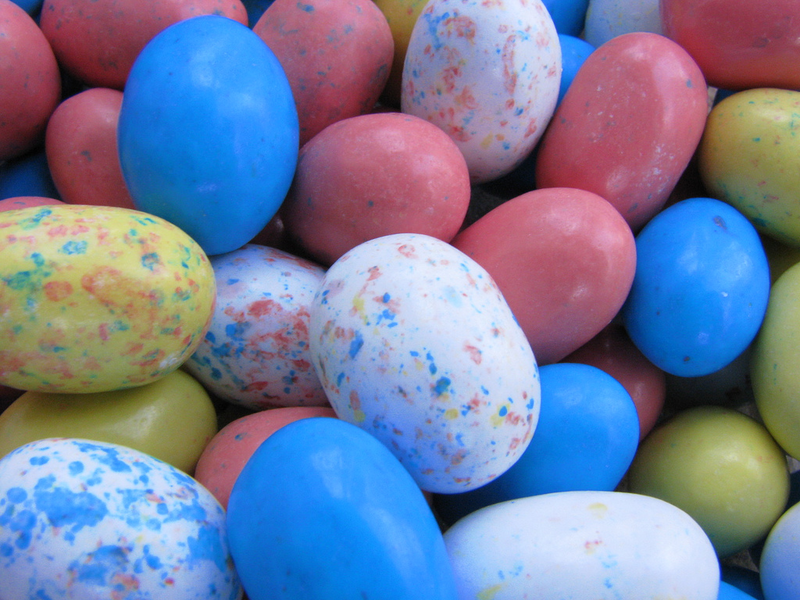 Based off what I know now from my friends at the Children’s Cance Recovery Center here in Houston, growing up, we all pretty much dyed our eggs in toxic-waste. Yes, even the vinegar, how it is processed, package…all terrible. If you want to give toxic-free egg dying a try, grab the Eco-Kids Eco-Eggs Coloring Kit . Made with all non-toxic ingredients, the kit includes everything you need to start coloring eggs…toxic-free. Seriously. Even though I don’t purchase a lot of candy for Easter, there is one thing I always grab for my little buddy: a chocolate easter bunny. But, with my goal for toxic-free this Easter, where would I find a flippin’ toxic-free chocolate bunny?! Check out this Organic Crunch’n Chocolate Bunny by Lake Champlain Chocolates. I’m grabbing a couple now. Naturally, to go the road less traveled, you have to get kinda sorta creative to get where you are going. Same thing with going toxic-free…it ain’t always easy. So, to make it happen, you might have to consider some snacks and things you may not have considered for Easter. Here are a few below – all organic, non GMO certified. Look, I’m not crazy. I know it’s hard. Actually, damn near impossible sometimes. But, anything change you make, even the smallest of them all, will count towards living a healthier lifestyle and decrease your child’s (and families’) risk of developing cancer and other toxic-material borne conditions.